Cutting with scissors requires the skill of hand separation, which is the ability to use the thumb, index, and middle fingers separately from the pinkie and ring fingers. This can be challenging for a youngster with small hands. Although many three and four year-olds have the skills needed to snip and cut, scissor skills are not fully developed until around age six. To help your little one practice their cutting skills, we cut out icicles. 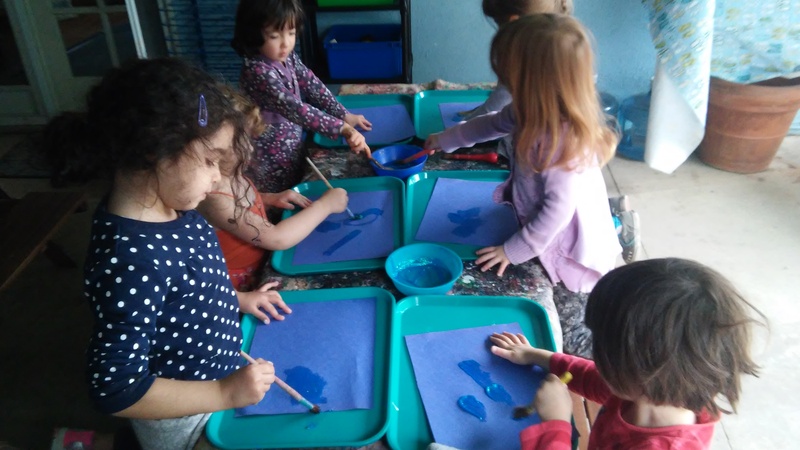 Following this, they painted a piece of paper blue and attached their “icicles” to it!